Rock Engelheart, the easy-going and often reckless son of Ralph Engelheart, a renowned American archaeologist and treasure hunter, went to the Valley of Mexico alongside his father and his colleagues with intention to explore some recently discovered remnants of the Aztec civilization. When the team was searching around the site, Rock unearthed a peculiar artifact that came in the form of a wooden scabbard, sticking firmly to the ground. Driven by curiosity, he made an effort to pull the artifact, and suddenly, a blinding ray of light illuminated from it. Afterwards, he found himself in a void of nothingness, guided by a mysterious voice that speaks nonsense. The next thing he knew, he had somehow warped to a different dimension he didn't recognize. After he came up with an assumption that the artifact was some sort of a teleportation device, he decided to wander around and seek out his whereabouts, despite of being completely unaware of how distant he was sent from home. On the way, he stumbled across the local inhabitants who faithfully believed that in reference to an ancient prophecy, he was a Cherub reincarnation descended from the Heavens. They pled for his help to save the land from an impending threat, which seemingly had always been his destiny. What will he do? Ignore their ridiculous words and keep searching for a way to get back home or come out as a supposed knight in shining armor? This is where the story goes. This scenario is only a demonstration/sneak preview. You'll only be playing for about half an hour, until you reach the point where the scenario come to an abrupt end. Most of the map is still empty, but the parts revealed to you is enough to show how it's gonna be. There are a lot of things to expect in the full campaign, I'll be making a thread in the SD&M forum some time later to explain further. This is a good improvement from your last version, Andan. To pick out one thing in particular, the template of the village is realistic and looks good and the story reminds me of an old action-adventure RPG I used to play over a decade ago. In saying that, I encountered a bug toward the end of the game when looking for the chief's house, which impeded game play and I could not play any further. Before the bridge that divides the town, Sadina became caught up with three other units (an archer, petard and spearman if I recall correctly) between two houses along a rather narrow thoroughfare. I assume for the story to progress further Sadina had to have been present at the Chief's house. Unfortunately I had last saved the game after defeating the boars and couldn't be bothered going through all that story again. It was interesting though, and I'd like to see where it's going. To be frank, I have literally self-tested this almost a hundred times, and she never got stuck on the way to the chief's house. Do you happen to play on Fast speed? I made and tested it based on normal speed, so maybe the fast speed is the cause of the bug. It's not really the end of the game, though, you were supposed to go somewhere (and have another battle with freaking boars) after a long dialogue with the chief. It's my pleasure Andan. I was playing on normal speed, by the way. If you need further help I'm always here. Nice scenario. Hope to see the full version soon. Oh, and please post on sws forums. 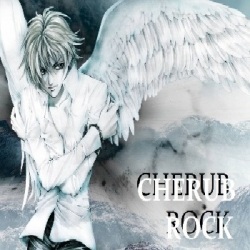 'Cherub Rock - Prelude' is a so far unfinished single scenario, an introduction into Rock Engelheart's upturned life as he suddenly finds himself stranded in a strange, fictitious world, after uncovering a scabbard during an archaeological dig. While limited to perhaps 30 or more minutes, the scenario promises plenty of role-playing game play and an intriguing and adventurous story. The scenario seems directly influenced from many of the Japanese RPGS from the past, which in some way, provides a nostalgic return to those days when playing this scenario, even if after all it is only a demo. CONCLUSION: This is a refined demo and a much better experience than its predecessor submitted back in 2009. I eagerly await the full release, which will hopefully be out this year. Fingers crossed. In a sentence - Exciting and 'fresh', Cherub Rock promises a complete role-playing experience with good story and characters. In closing - I recommend this download. About Sadina's habit of getting stuck at the bridge, I think I've taken care of it by tasking only one person crossing the bridge back and forth. Thank you for coming across that unexpected bug! About the hunter stripping his clothes off, I can't agree more with you -- it's too unrealistic for someone to give up his clothes to someone he doesn't even know, for such a vague reason, lol. Also, I was reluctant about adding Sadina to the party list since she's merely a convoy NPC, and isn't fully controlled by the player, but I guess I should have added her anyway. Thanks for pointing them out! The dull blade does increase Rock's AP by 2, but since Rock's unit is a Samurai, which is shown to have a base AP of 8 while Rock's starting AP is 4, the +2 bonus won't be noticeable (I think the only to realize it is by looking at reduction level of the boars' health). The only bug I noticed is that Rock got way too much experience (represented by stones) after he managed to slay all three boars. Thanks for the advice on giving players multiple paths, I think I'm going to incorporate that aspect to some extent (e.g. whether to help or hinder the player), while still retaining the overall linearity of the plot. Also, thank you for the minor grammatical corrections and tips, I'll keep them in mind! Again, it's my pleasure Andan. About Sadina, I don't think it would matter whether she was NPC-controlled or not. Being with the player and in the player's charge more than warrants her as part of the party. I'm glad you like my idea on multiple paths; I do like the linear game play, and if I might say comes with role-playing scenarios such as this. I just don't want you to become bogged down in giving the player only one direction to follow, not that you do this in the demo. I feel you've designed the scenario in such a way that it feels like an open world, and not constricting the player too much. I do feel that multiple paths and options for the player to choose will however make the scenario all the more enjoyable and fresh.